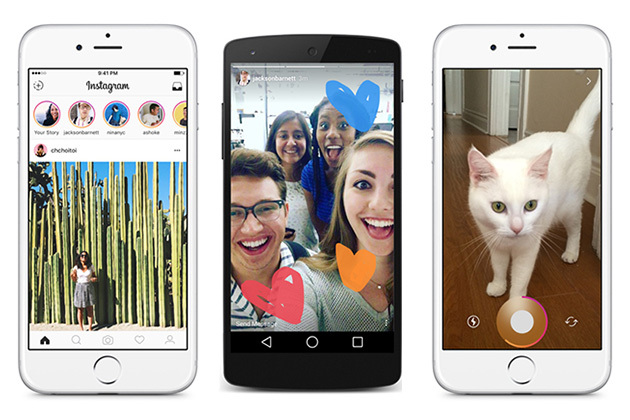 Even though Instagram is technically just one social network, it can feel like a lot more. After all, you now have three different content channels to fill! As a refresher, your brand can post visuals to the Instagram feed, Stories and as of last week, IGTV. Yes, it’s a lot, but it’s absolutely worth it. After all, Instagram just announced it has more 1 billion monthly active users, which officially makes it the second biggest player in the social game. Right now, Instagram is the outlet you want to invest more in. As you gear up to create more content, take a step back and set goals for each unique content type. Lucky for you, nearly 10,000 people told researchers exactly what they what to see more of on Instagram’s different channels. Read on to see what they said (and how it can inform your brand’s content). Capture visual beauty. People want to see drop-dead gorgeous images in their feed. You should frame the photos right, pile on the filters and make pictures aesthetically pleasing. Aim to share timelessly beautiful photos. Share information. People want to find information on your feed, so you write longer captions. Also, your profile should have all the essential information people need to know about your brand (what you do, what you’re like and how to reach you). Help others discover you. Your feed photos should capture who your brand is. That means having a vivid, definitive visual identity for your brand. Consider everything from colors and filters to subject matter and fonts. Highlight products or services. If you’re debuting a new product, you want to do that on the feed. Again, detail lots of information about it in the caption, like the price, materials and more. Be sure to turn those shopping tags on, too. Lead with passion. As people scroll through the Discover section, they’re looking to connect with new accounts who share their passion and interests. Put your enthusiasm for what you do front and center on your feed. Then, add the right hashtags to get found. Be refreshed often. While Instagram Stories have seen a huge uptick in use since their release, the feed is still where people are most comfortable. People opt for the feed "for a greater number and range of use cases." Make sure this stays your top priority for now. Ooze authenticity. People scroll through their feed for beauty. On Stories, they want to connect. Find the people who represent your brand. Showcase them and what they’re really like. This one is as simple as letting your brand representatives be themselves! Be unfiltered. You can skip the filter on Stories. The more raw and real the content looks, the better! Feel free to keep that mess in the background and not fret about getting the lighting right. If you have something to say, share it! Remember: it will be gone in 24 hours anyway! Share slice-of-life content. Again, with Stories, you don’t have to be exciting. Nothing special has to be going on. You can simply share snippets of your day. Capture real-time moments. While images for the feed can be planned weeks (or even months in advance), Stories work best when they’re happening that day. Of course, it’s a no-brainer to share snippets of cool events, parties or meetings! Show your fun side. People want more funny, playful content on Stories. So, let loose and try something different here! Laugh as you’re creating it. Break the mold. Again, the content disappears in 24 hours, so you can try it out (and forget it if it doesn’t work!). Check in next week for IGTV content.